This one seemed serendipitous because I had been thinking about what to bake with my peanut butter stash for a while, but nothing jumped out at me. For all the recipe bookmarking and book ear-marking that I do, often times it’s the spontaneous recipes that make their way into my kitchen. Must be that blasted paradox of choice at work – I may have 8 million peanut buttery recipes to choose from, but when PB&Co tweeted this one, I was good to go. One second I was reading twitter and the next second, digging my teeth into freshly-baked cookies. The internet is awesome. 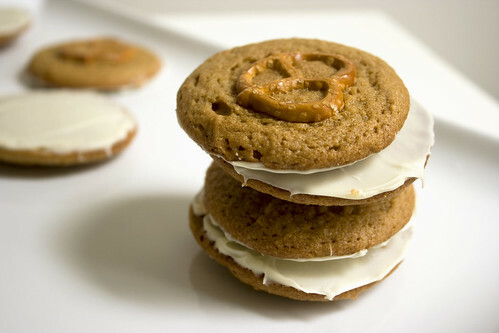 These cookies are satisfying and crazy easy to make. The batter comes together in the blink of an eye. They were done so quickly and used so few dishes (I didn’t even bother breaking out the mixer) that I made two batches. Why not, right? 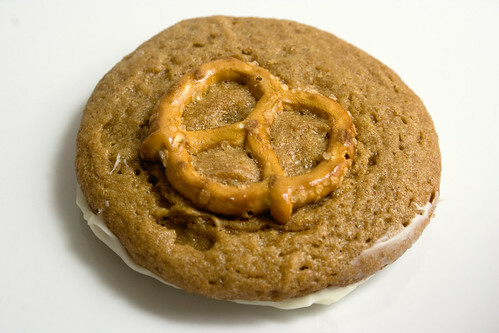 At the end of it, I had a ton of soft, peanut buttery cookies with a salty white chocolate bend. And speaking of salt, I sprinkled a little extra onto the chocolate side of my cookies. I love salty-sweet stuff and couldn’t help myself. 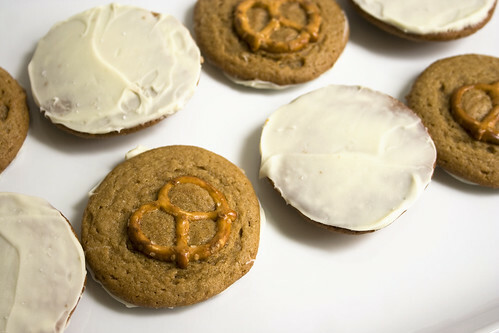 Note: If you leave some w/o pretzels, you will make your gluten-free friends very happy! 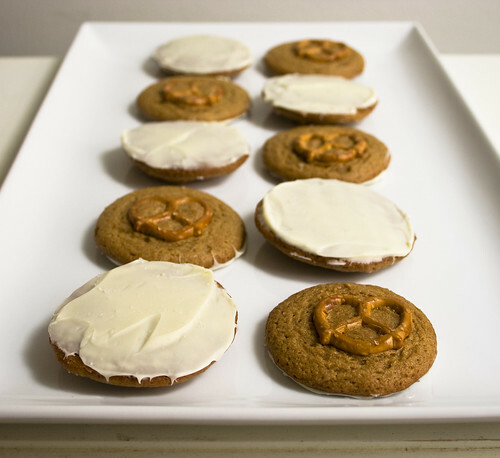 Another bonus: if you prefer to savor your pb stash and don’t want to use up a whole tasty jar on one itty recipe, you can breathe easy because one batch of these cookies will only use 1/2 cup, leaving plenty more to spread around! Get the recipe from Bakerita! These look awesome. Yum. I can’t wait to try it.